If you are a 90’s kid like me then chances are you are familiar with the series Danny Phantom which aired from 2004 to 2007 on Nickelodeon. It follows the adventures of a young boy who accidentally enters a portal between our human world and the Ghost Zone and becomes somewhat of a human-ghost hybrid. While the series was only three seasons long it has continued to remain popular with Nickelodeon still running reruns, it has gained a dedicated cult following. He is accompanied by his two best friends and sister who are the only people who know of his secret double life. Ember is the main villain in Danny Phantom who died after being stood up, after going back home and falling into a deep slumber her house was destroyed in a mysterious fire giving her the name Ember. In this post we’re going to show you how to make your own Ember McLain costume as the villain who tried to take over the world as a pop star using her hypnotic powers to control the masses. 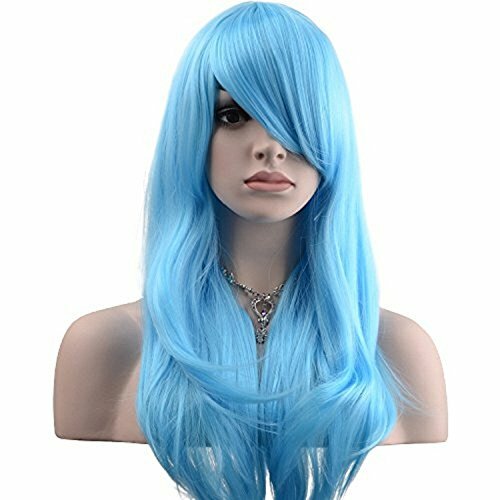 The first thing you’ll need to start putting together Ember’s look is a long light blue wig as I assume you don’t have naturally blue hair. Ember has hers pulled up into a bun so you’ll want to do the same with yours. 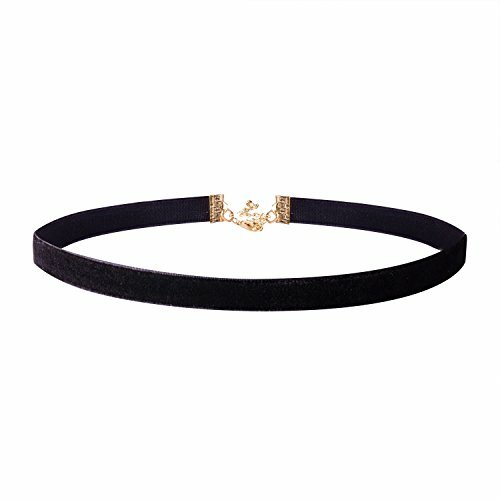 Then add a black choker such as the one we’ve picked out for you above from Jane Stone. Now let’s move onto the clothing itself which has an edgy vibe to it, perfect attire for this hypnotic villain. Start with a black tube top, then add some long black gloves. If you are feeling brave you can go for a ‘wet look’ instead with a Lycra tube top and gloves instead, although either way is suitable. 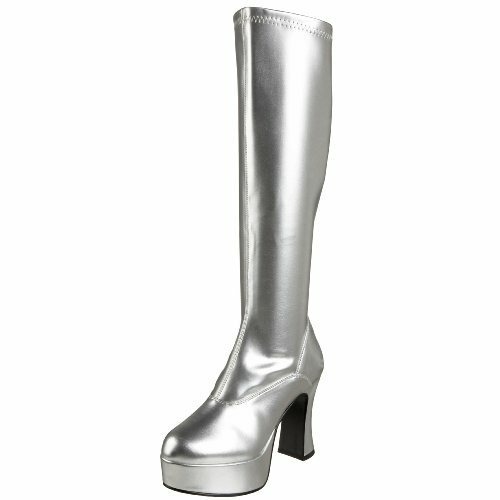 Then we can move onto the finishing items which are a pair of black leggings and a pair of silver platform boots. Ember’s boots had a scary face on the front but we couldn’t find anything similar available to purchase. As I suggested above if you are feeling courageous switch out the leggings we picked above for a ‘wet look’ style instead. I haven’t included a guitar here but for added detail add a purple electric guitar. Don’t forget makeup, for this character basic makeup is required, use a reference image as a guide. You want a light blue base for the face (lighter than the hair),thick black eye liner with the details under her eyes, and finish with some purple lipstick. If you can wear green contact lenses. Even though Ember is the villain in the series I still think this make an excellent couples costume alongside Danny Phantom. I’ll be doing a tutorial on his cosplay soon so keep your eyes peeled. Before you leave be sure to follow us on social media so you can get updates when we post new posts.